Given that for much of winter Somerset House’s courtyard is covered in an ice skating rink, it seems only appropriate that this spring it’s full of flowers. 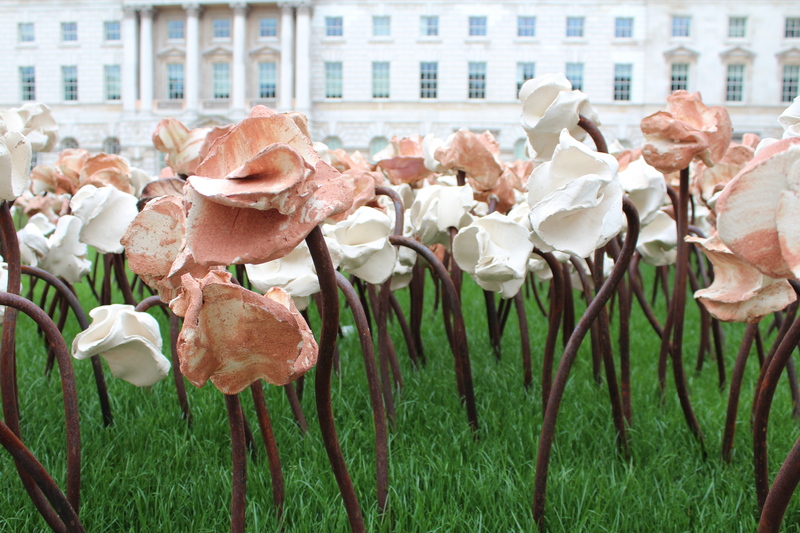 10,000 of them in fact – made of clay – have colonised the Edmond J. Safra Fountain Court, replacing the fountains and forming sculptor Fernando Casasempere’s latest installation Out of Sync. 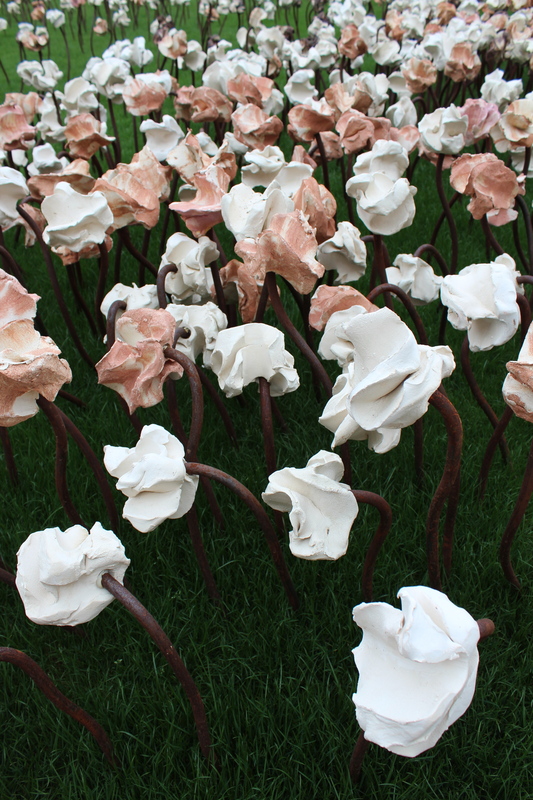 Casasempere, who was born in Santaigo and studied both ceramics and sculpture in Barcelona, has called London home since 1997. He works with clay left over from industrial processes and was so fond of his own special mixtures that he brought twelve tonnes of them with him when he moved to the UK. 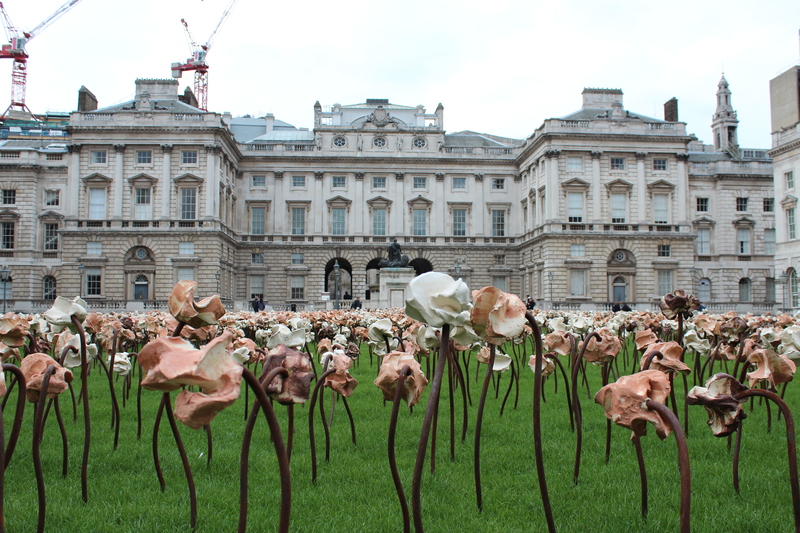 The confection of hand-painted pink and white blooms creates an unexpectedly pretty garden among the stately buildings, while both the flowers and buildings provide a striking contrast to the fresh green turf that has been laid out across the courtyard for the installation. The piece is meant to celebrate the start of spring and the feelings of happiness associated with this change in season, but despite getting off to an excellent start it would seem that it is the weather itself that is now a little out of sync. 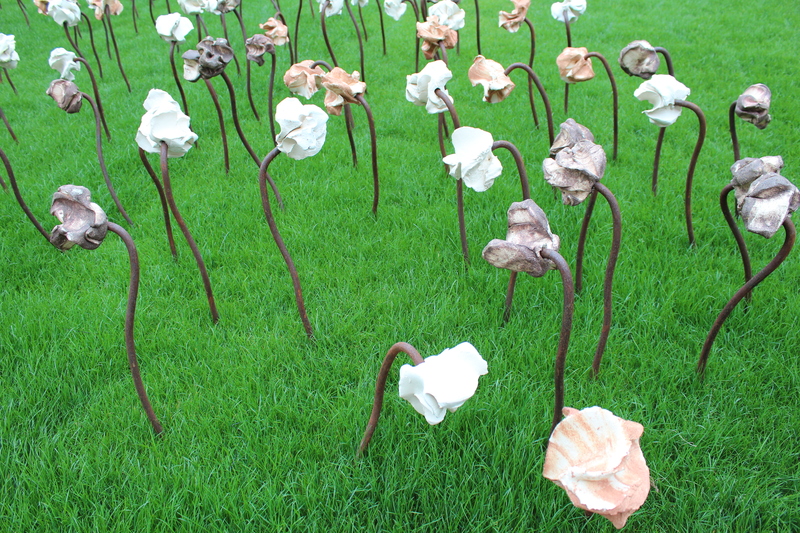 However as the installation will be up until the 27th of April it has until then to get back on message.